USA VPS and Hypervisor Choice: Xen OpenVZ or KVM? Which hypervisor is best for your USA cloud or USA VPS solution: Xen, OpenVZ or KVM? It’s one the questions guaranteed to come up in conversations with new cheapest VPS customers, as well as with existing clients. In this blog, we wanted to provide more detail on the three open source hypervisors supported in the Defend Hosting EURO VPS and USA VPS platforms, and the use cases for them. In future posts I’ll follow up with more insights, such as the history of Xen, OpenVZ and KVM, benchmarks, and views on new updates that come along. But first, let’s get back to the question: Xen, OpenVZ or KVM? The Xen Project began around 2004 at a time where there was no existing open source virtualization. Outside of containers (FreeBSD Jail, Virtuozzo, Solaris Jails), this kind of thing really didn’t exist. There were some really nice scalability advantages to using a Jail/Container – but there were inherent weaknesses that prevented further innovation. Here enters Xen, which is a Type I Hypervisor – which means it sits a single layer above bare metal. It’s like a stripped down operating system, and it uses a function called “pass-through” to connect directly to PCI devices like RAM/CPU/NICs. OpenVZ can ONLY host Linux operating systems, while KVM is more flexible and can host Linux, Windows, and custom OS options. Both a pro and a con of OpenVZ is the complete sharing of resources it allows. OpenVZ uses a shared kernel with a layer of virtualization on top of the actual Linux OS. Since this kernel is shared by all VPS users on this node, the kernel is not customizable. Once you have hit your allocated RAM provided to you by the host, the remaining RAM becomes a free-for-all for users on the server. This is not a problem if you run small applications, but you may be in trouble if you are running something more resource intensive. The risk of overselling: Overselling is where a host will overcommit resources to certain accounts hoping that not every account uses up all those resources. While everything can be oversold, beware of shady hosting companies overcommitting OpenVZ systems and putting you on a system with too many containers. KVM can also be oversold, but it’s better isolated. Since OpenVZ hosts are often oversold, OpenVZ servers are typically a cheaper cost than KVM servers. OpenVZ provides the end-user with speed and scalability, and it’s more affordable. KVM offers private virtualized hardware including network card, disk and graphics adapter, and guaranteed resources for increased reliability and customizability. KVM packages are ideal for serious resellers, game servers, small businesses, and medium-sized enterprises. KVM (Kernel-based Virtual Machine) was originally written by an Israeli software developer called Avi Kivity, while he was working at a company called Qumranet – which was acquired by Red Hat in $2008, for the princely sum of $107 million. KVM is a Type II Hypervisor, which means that it is one layer above the OS. So you have a bare metal machine, install an OS, and THEN install KVM. In Linux it is installed in the form of a Kernel, and this kernel then turns the bare metal machine into a Hypervisor. KVM is a full virtualization solution for Linux on x86 hardware containing virtualization extensions (Intel VT or AMD-V). It consists of a loadable kernel module, kvm.ko, that provides the core virtualization infrastructure and a processor specific module, kvm-intel.ko or kvm-amd.ko. KVM is open source software, great for a cheap windows vps solution. The kernel component of KVM is included in mainline Linux, as of 2.6.20. The userspace component of KVM is included in mainline QEMU, as of 1.3. So, what’s the big deal? Aren’t they basically the same? Well, not really. Yes, they are open source, and all supported by large communities and large enterprises. And yes, they do the fundamental job of virtualization. The differences are found in support for innovation, and in application integration, application awareness and performance. From 2010 to about 2014, all we heard from Defend Hosting customers was Xen, Xen Xen. No one wanted to touch KVM, but because Red Hat put its muscle into development, the fledgling new virtualization method has enjoyed much more success in the last couple of years, and is growing pretty fast. Until 2014, very few people had the confidence to use KVM as a real-world solution. Today, I rarely hear the Xen-only mantra from customers. If you’re pushing a lot of Linux-based solutions, I’d go with KVM. This doesn’t mean Xen or OpenVZ are bad. It’s just that chances are, you’ll find KVM will offer better performance with the Linux OS. Ballooning works FAR better on KVM then Xen, which is why our Xen users don’t use this function – as Xen takes unused RAM from another VM and tends NOT return it afterwards. If you sell a lot of Windows-based cloud servers, there are probably more advantages to hosting on KVM too because of the new near native drivers. KVM is true virtualization where the VPS operates as its own server, independently of the host node. OpenVZ is a container style of virtualization which relies on the host node’s kernel. KVM has no restrictions in terms of functionality, but it has more overhead than OpenVZ. OpenVZ is constrained by the host node kernel, but it has less overhead in the containers themselves. KVM is generally more stable than OpenVZ. KVM VPSs are not dedicated environments. 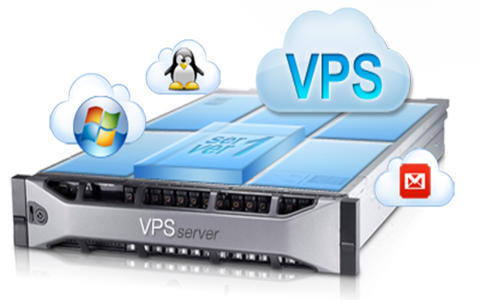 Both virtualizations share host CPU and network port among all VPSs. Only our VPSs include dedicated CPU. In future blogs, I hope to provide some benchmarks to illustrate some of these performance differences. Click to learn more about the Defend Hosting cloud management platform! If you need, Defend Hosting provides USA based dedicated servers and Europe based dedicated servers.